The UML diagram which represent the stepwise activities and action graphically is called activity diagram. It is basically a flow chart which is drawn from one operation to another relationship. It is like flow control but is different from it. The activity describes as operation of the system. These type of diagrams are used for showing the relation between the activities of the system. It is used for visualizing the dynamic view of the system. Action: It is represented as rounded rectangles. Decision: It is represented as Diamond shape. Initial state: A black circle which represent the start of the workflow. Final State: It is represented by an encircled black circle i.e. final point. The purpose of activity diagram is similar to the all other diagrams of uml. It shows the message from one activity to another activity. It explain the parallel, concurrent and branches flow of the system. It shows the sequence from one activity to another. 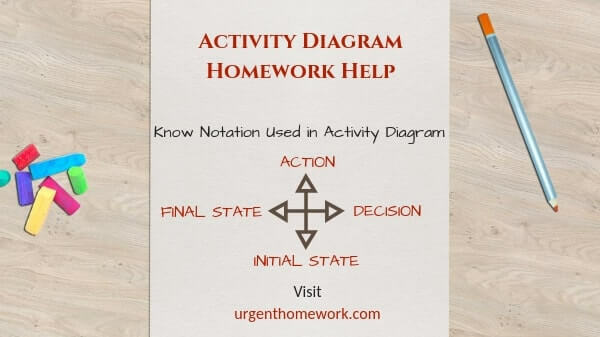 If you need homework, assignment, coursework help in Activity Diagram contact our online chat support.